Have you ever wondered about the challenges that have to be faced when designing and constructing a building at 1,700 m.a.s.l.? 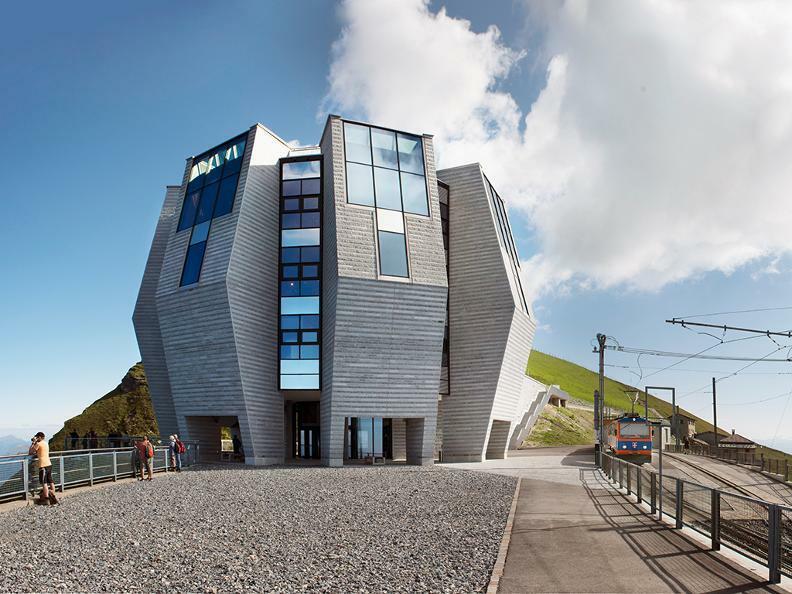 If you want to find out more and learn about the choices made by the architect Mario Botta when developing the “Fiore di Pietra” at the top of Monte Generoso, this is the perfect guided tour for you! The tour starts at Capolago station. From here you will travel by rack railway up to the peak. During the 40-minute train ride you will learn about the history of the railway and the tourist destination that has attracted countless people for more than 100 years. After arriving at the peak, you will hear the story of the building and visit it with your guide, who will tell you about Mario Botta’s career and the decisions made by the architect as regards the structure and materials used to develop the “Fiore di Pietra”. When walking in and around the building you will have the opportunity to admire the view and the facilities on offer. This tour lasts around half a day and is the perfect way to learn more about the architect Mario Botta and his work. An unmissable opportunity! Visits for small groups can also be arranged on request. Price to be confirmed. Requests for this guided tour must be submitted at least 3 days in advance to [email protected] and are subject to the availability of the guide. Payment may be made in cash on the day itself, directly at the Mendrisiotto Turismo office. The guide will collect the train tickets in Capolago prior to departure.